Myvision Coopervision daily lenses, created for children. 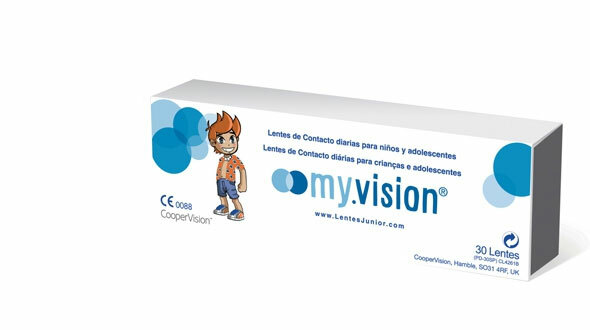 Myvision are daily lenses indicated for children and adolescents , to practice sports and hobbies. It does not require maintenance, since every day a new lens is released. Parents have doubts about when their children should start using contact lenses online. It is normal to be suspicious of the learning process, the responsibility or the consequences of misuse, so what we contactologists say is that if the child knows how to tie his shoes, he can use contact lenses. Children grow and develop diverse hobbies, soccer, dance, bicycle ... and we find that the graduated glasses is an inconvenience for the development of this activity that both like and entertains, but if the child takes off his glasses does not see well and is unable to exercise it easily. In this case, it is advisable to go to a vision professional (optical-optometrist), to inform you of the process of adapting cheap contact lenses , pros and cons, so that parents can assess and decide. • They are healthy lenses, it offers a high oxygen passage to the eye and high hydration of 60%. • They offer safety, for example, in sports activities such as football, it is dangerous to play with inadequate prescription glasses. • Self-confidence: children with glasses may feel discriminated against their friends or classmates. • They provide hygiene and safety: every day they train a new lens, which does not require the use of maintenance liquids. • Economic: being daily, parents can control consumption. • Easy handling: they have a central thickness that makes it easier for children to put on and take off. Myvision contact lenses correct visual defects that range from +8.00 diopters of hyperopia to -12.00 diopters of myopia. They include ultraviolet filter, although it is advisable to use sunglasses to increase protection against solar radiation at 100%. In its structure they include blue handling dye, facilitating the handling, since it makes them more visible. Important: You may not find the brand of cheap lenses that you have acquired in your optic lately among our brands. That may be because they have a name created for the optics where you bought them (a lens with the same characteristics as the original but with another name). In Prodevisión we have all the original brands. If you do not find your contact lenses online among our brands, do not hesitate to contact us at the email address info@prodevision.com or phone 968 908 108, our contactologists will indicate the equivalent to the original brand, of this In this way, you will make sure that the ones you are going to ask for are the same ones that you usually use. 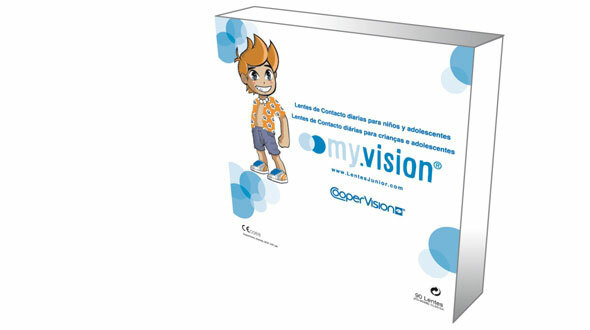 In Prodevisión you can buy cheap Myvision Junior contact lenses quickly and with secure payment.